If you have a Norfolk Island pine in your life, you may well have purchased it as a live, potted Christmas tree. It is an attractive evergreen with feathery foliage. 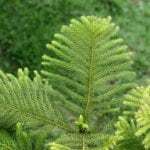 If you want to keep the container tree or transplant it outdoors, you may want to know about pruning of Norfolk Island pine trees. Should you prune a Norfolk Island pine? Read on to learn the ins and outs of Norfolk Island pine pruning. If you bought the tree for the holidays, you are not alone. Norfolk Island pines are often used as living Christmas trees. If you decide to keep the tree as a container tree, it will need some water, but not too much water. Norfolk Island pines need moist soil but will die in wet soil. Your Norfolk Island pine will also require as much light as you can offer. It accepts direct or indirect light, but does not like to be close to heaters. If you adapt this container plant for the long term, you’ll need to change the container every three years or so using a classic potting mix. Should you prune a Norfolk Island pine? You will definitely need to start cutting back Norfolk Island pines when the lower branches die. Norfolk Island pine pruning should also include snipping out multiple leaders. Just leave the strongest leader. 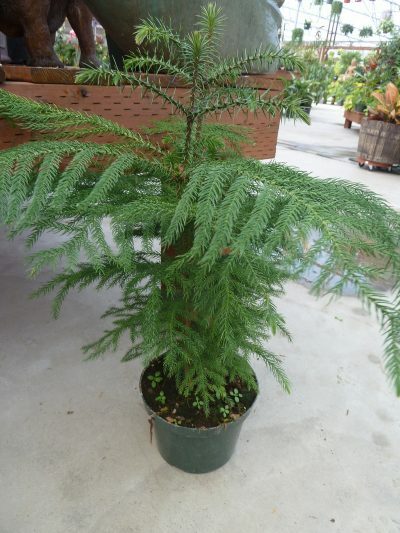 If your Norfolk Island pine doesn’t get enough water or enough sunlight, its lower branches are likely to die back. Once they die, they will not grow back. While all maturing trees will lose some lower branches, you’ll know the tree is distressed if a lot of branches die. You will need to figure out what conditions are distressing the tree. It’s also time to think about Norfolk Island pine pruning. Trimming a Norfolk Island pine will include removal of dead and dying branches. Sometimes, Norfolk Island pines drop so many branches that only bare trunks remain with tufts of growth at the tip. Should you prune a Norfolk Island pine’s trunks in these conditions? 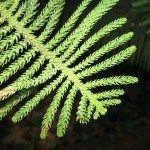 While it’s entirely possible to start trimming a Norfolk Island pine trunk that has lost most of its branches, it may not yield the result you seek. Norfolk Island pine pruning will distort the tree. Pruning of Norfolk Island pine trees in this situation will probably produce multi-stemmed, shrubby plants.